Eugene Mar leads Farella’s Technology Industry Group. He specializes in representing technology companies in intellectual property litigation, advising emerging companies on strategies for building and diversifying their intellectual property portfolios, and counseling clients on IP licensing and best practices for trade secret protection. 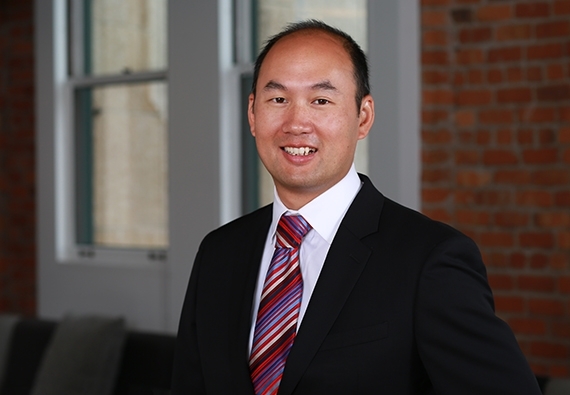 As an IP litigator, Eugene has prevailed in trade secret, patent, trademark, and IP licensing litigations at every level, including multiple jury trials and appeals. His cases have involved an equally broad range of technologies including solid state disk controllers, QR codes, computer storage and networking products, web browser architecture, topological data analysis, mobile device operating systems, microprocessor architecture, drug-eluting stents, protein synthesis, capillary electrophoresis, data encryption and decryption, payment card security technology, and signal abstraction. Clients value Eugene for his ability to align legal strategy with the client’s business interests and his strategic thinking in seeking the quickest path to an early adjudication on the merits of a case. If, however, a trial is inevitable, Eugene is an experienced, aggressive, and effective advocate, equally skilled at handling both day-to-day disputes, and major, bet-the-company cases. Eugene also advises emerging and growth companies on cost-effective intellectual property protection strategies. He typically bases his strategy on an analysis of the location and impact of a client’s core technology in the marketplaces in which it competes, particularly relative to competitors. He also counsels early-stage clients in developing diversified intellectual property assets with the ultimate objective of building a strong, defensible portfolio. This work has included conducting due diligence for companies looking to build IP portfolios by acquiring patents. Day-to-day, Eugene also assists emerging companies with drafting and negotiating a variety of IP-related agreements, including non-disclosure, assignment and license agreements as well as cloud-based software usage agreements and licenses. I strategize and litigate creative solutions to IP challenges for innovative clients.